The GMS811 FIDOR, on which the control unit (BCU) can be separated from the analyzer unit, supports convenient control and monitoring from a central control room. A member of the GMS800 analyzer family, the GMS800 FIDOR extractive gas analyzer is ideally suited for emission monitoring according to regulatory requirements (in waste incinerators, cement and/or power plants, for example). 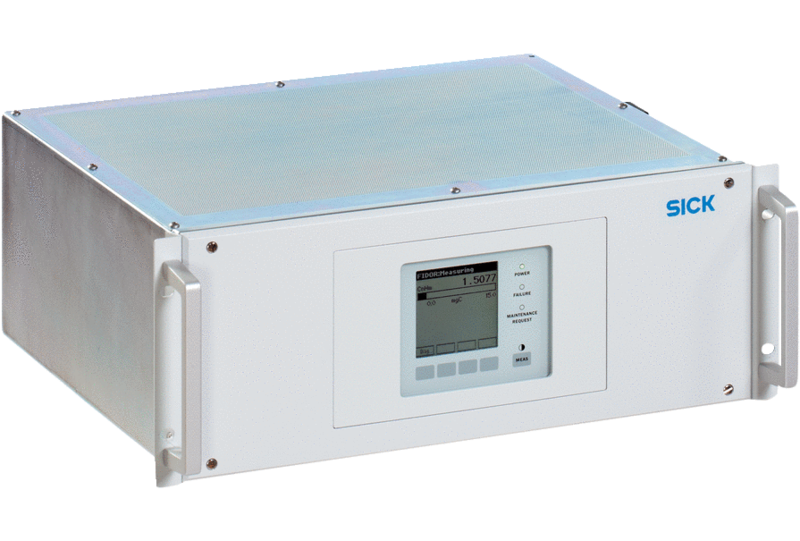 Based on the proven flame ionization detection principle, the GMS800 FIDOR measures total hydrocarbon concentrations in gases at both trace levels and high concentration levels. The GMS800 FIDOR is available in three versions: the GMS810 FIDOR with integrated control unit (BCU), the GMS811 FIDOR with separate control unit (BCU) and the GMS840 FIDOR with a space-saving wall housing. The housing makes integration into existing systems such as SICK's MCS100 E HW multi-component analyzer very easy.